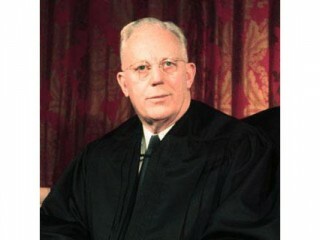 During the 16-year term of Earl Warren, a chief justice of the U.S. Supreme Court, the Court decided a series of landmark cases regarding individual civil liberties and civil rights, particularly for minority groups. World War II was in progress, and these were tumultuous times. In 1941 Pearl Harbor catapulted Warren into controversy. California had long been the base of the aircraft industry and was now producing military planes and "liberty ships." At the outbreak of the war between the United States and Japan it was imperative that war materiel production be maintained. Public sentiment against Japanese people reached a frenzy, especially in California, which had over 100, 000 residents of Japanese extraction, two-thirds of whom were American citizens. Violence against these people began to break out, and accusations of disloyalty to the United States were made. Minisubs of the Japanese fleet were off the coast of California; bombs from balloons fell in the forests of Oregon and Washington. The West Coast became a virtual powder keg. Though history may treat the internment of some 112, 000 of these Japanese residents as a brutal violation of the Constitution, Warren made this decision in a desperate hour, and it was approved by the Supreme Court.